Upon completion of the Matson Residence Project, energy consultant James Cavallo of Kouba-​Cavallo Assoc. completed a final energy audit of the new construction, including blower door tests and infrared camera investigations. The home scored an impressive 63 on the HERS (Home Energy Rating System) Index. 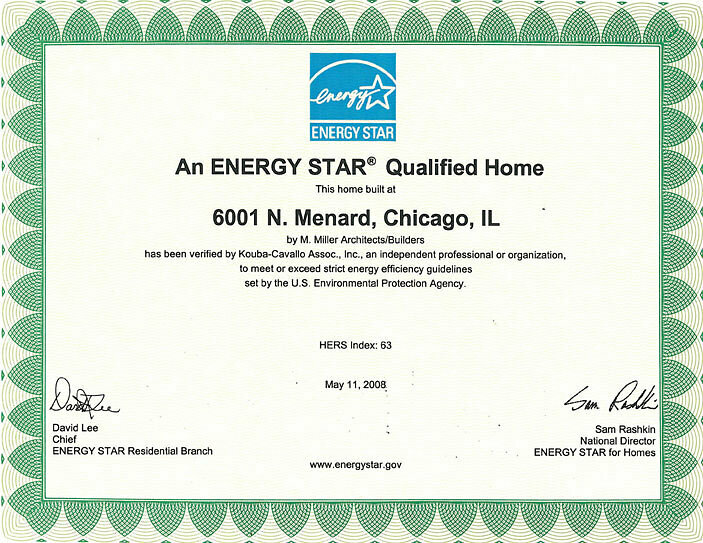 Not only did this indicate the home would receive Energy Star qualifications, it exceeded these requirements by 23 %. See : Matson Residence in portfolio for images.